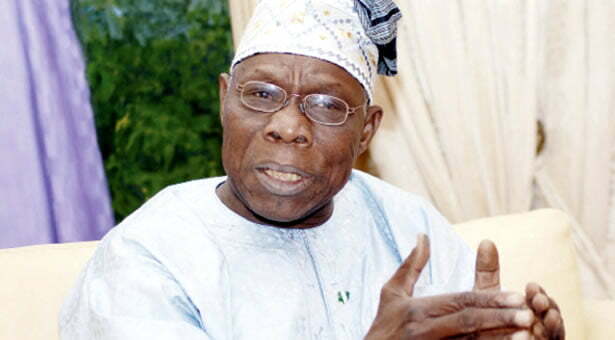 Former President Olusegun Obasanjo on Thursday dismissed claims that he would fight to divide Nigeria. He made the remark in response to statement credited to him that if President Muhammadu Buhari rigs the upcoming presidential election, he would divide Nigeria. The statement reads: â€œI read a couple of days ago in the social media a statement ascribed to me that if Buhari rigs the election, I will fight to divide Nigeria. Those who know me will know that such a statement will never come from me. â€œMelancholic despondency is no option for us at any time. I believe Nigerians will fight back not to divide the country but rather to unite it in democracy and good governance and God, the Creator of Nigeria, will be on the side of such valiant Nigerians to get us out as He has got us out in the past.